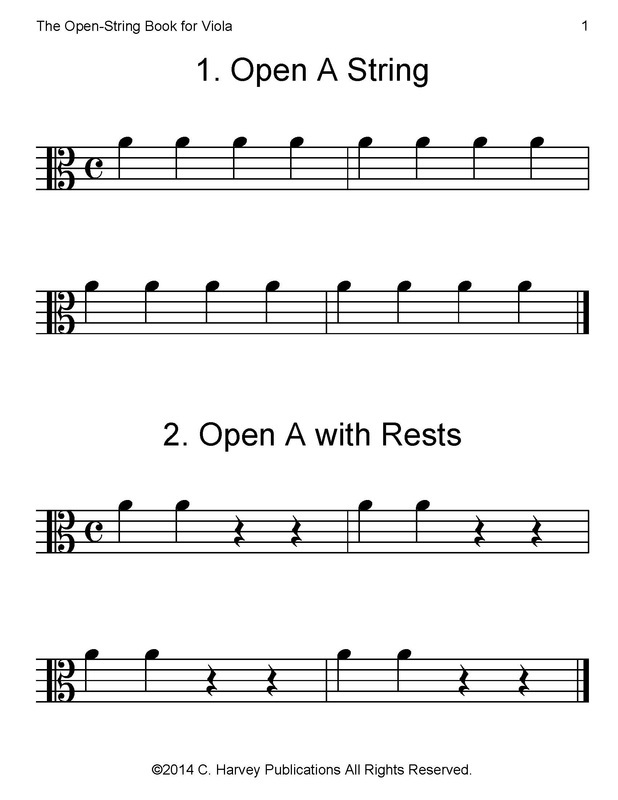 This book works on basic viola bowing and rhythm skills using only open strings. From quarter and eighth notes to the first slurs, this book can help students read music and play open strings at the very first lesson. Other skills taught include rests, open string double stops, 3/4 timing, string crossing, and half and whole notes. Are you teaching beginning violists? This is a great book to use with students from the very first lesson. While they progress to fingered notes after (and sometimes during) the first lesson, you can continue assigning this book until the student finishes it. It's great as a warm-up at the beginning of the lesson where they can focus on bowing. Are you teaching yourself? This book doesn't have any explanatory words and was intended to be used in a lesson. However, adult learners can play through it and improve their playing if they know a bit about how to read music (how notes fall on a staff, how rhythms are notated, etc.). This book could be used along with Learning the Viola, Book One and could be followed by The Hot Cross Buns Book for Viola.